I just checked this book out of my local library and am so glad I did, I've got to buy it now. She's got a lot of great info on the ol' Sears Catalogs from this decade. When I think of Sears I cringe frankly, I remember my Grandmother taking me there, I had a really hard time finding anything that I thought looked good. 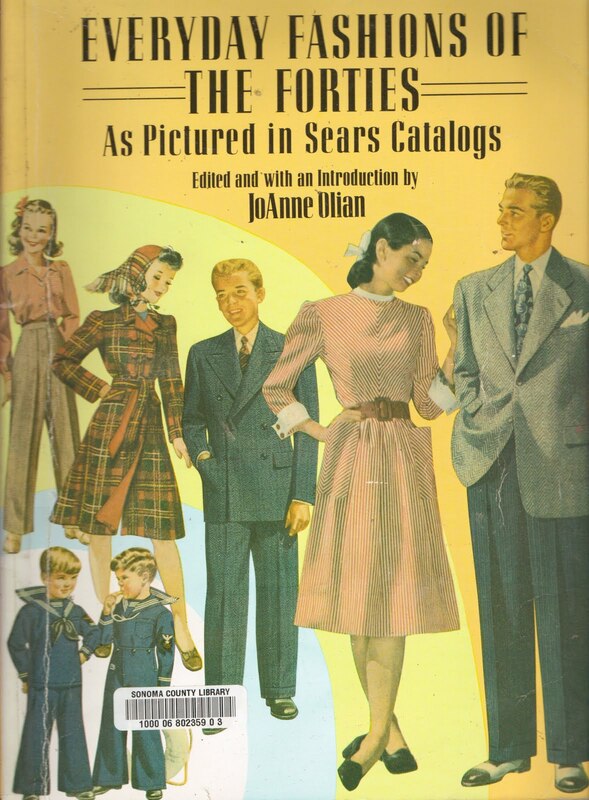 Apparently in JoAnne's book she mentions that the old catalogs ONLY contained exactly what people said they wanted to buy. I'd love to have a clothing dealer now that would be so cooperative! That's why I make my own clothes! She talks briefly about how the rural corn farmer and his wife were dressed as smartly as the stocks trader in Manhattan or L.A. would've been and other interesting wartime era details. It's mostly just the best of 10 years of the catalogs pages.